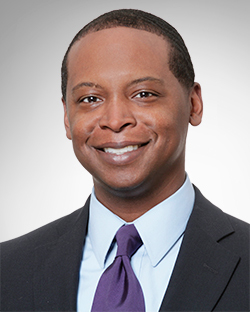 Dr. Steven Player is the Executive Director of the Center for Diversity and Cultural Competency (CDCC) at Barnes-Jewish Hospital (BJH) in St. Louis. In this role, Dr. Player leads a dynamic, multidisciplinary team that provides and facilitates cultural competence and inclusion education, quality assessment/improvement, extensive language services, and promoting overall health service equity. In addition to his core responsibilities as Director of the CDCC at BJH, Dr. Player is both the co-founder and co-director of the Barnes-Jewish Hospital, Express Scripts, and St. Louis College of Pharmacy (BESt) Pharmacy Summer Institute. Dr. Player possesses a passion for developing the next generation of health care providers. This passion has led him to establishing not only the BESt program but also the Xavier Initiative, a key strategic partnership between Xavier University of Louisiana College of Pharmacy and BJH, and in serving as coordinator for the BJC HealthCare Pharmacy Internship Program. Dr. Player also supports the community in various ways, some of which include serving on the Urban League of Metropolitan St. Louis Board of Directors, Girls, Inc. St. Louis Board of Directors, Xavier University of Louisiana College of Pharmacy Dean’s Advisory Board, member of the National Association of Health Services Executives, and participating in career planning sessions for local high school students. Dr. Player’s academic achievements include a Doctorate of Pharmacy (Xavier University), a Masters in Business Administration (Webster University), and a Certificate in Diversity Management (Georgetown University and the Institute for Diversity and Health Management). Dr. Player is native of St. Louis, and is married with two beautiful children. Dr. Celeste Player is Vice President and General Manager of Operations at Express Scripts. In this role, Celeste is responsible for delivering a best-in-class member experience to home delivery patients through the provision of cost-effective, innovative solutions and service excellence. She leads a large, dynamic contact center team comprised of over 4000 employees as well as oversees teams responsible for workforce management, executive escalations, social media inquiries, and concierge services. Additionally, Celeste is responsible for building and executing a strategic plan to transform and grow Express Scripts home delivery pharmacies. Celeste is also a committed contributor to the St. Louis community. She has served on the board of the St. Louis Maternal, Child and Family Health Coalition (MCFHC) and is currently serving on the board of the National Council for Alcoholism and Drug Abuse (NCADA). 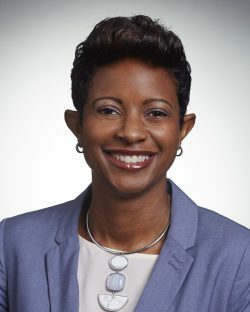 Celeste is a member of Delta Sigma Theta Sorority, Inc., United Way Charmaine Chapman Leadership Society, Express Scripts Executive Diversity Advisory Board, and serves as President of Express Scripts Cultural Connection Employee Resource Group. She is also a graduate of the St. Louis Business Diversity Initiative Fellows Program. Celeste has been featured many times on KSDK-TV Show Me St. Louis, educating patients on how to achieve healthier outcomes. Celeste received a Doctor of Pharmacy from Xavier University College of Pharmacy in New Orleans, Louisiana. A native of St. Louis, Missouri, Celeste is the wife of Dr. Steven Player and the proud mother of two teenagers. 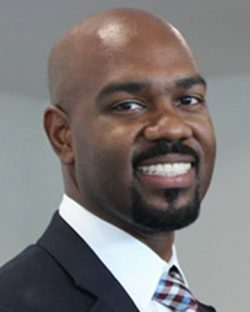 Dr. Isaac Butler is Vice President for the Office of Diversity & Inclusion and Adjunct Assistant Professor at the St. Louis College of Pharmacy. This role provides leadership to the campus community to embrace and leverage differences in cultures, worldviews and abilities to ensure students are prepared to provide exceptional patient care as engaged citizens in an increasingly diverse and global society. The ODI provides strategic counsel to academic and administrative units in order to incorporate diversity and inclusion initiatives into business operations and objectives. Along with his wife, Dr. Lakesha Butler, Dr. Butler owns Think-Dream-Lead, a leadership consulting company that empowers students and young professionals to a maximum level of personal wellbeing in the areas of faith, family, career, and community. Prior to starting this company, Dr. Butler spent most of his career at Express Scripts leading teams in sales, account management, audit, and product development.